Washington Voters passed a controversial bill making new stricter regulations on Gun Law with a majority as much as 60 percent voting in support of the initiative. But, now it seems voters are not the ones who decide the future course of the bill. At least 13 County Sheriffs across Washington, from the Pacific Coast to the eastern wheat fields, have denied enforcing the new law, known as Initiative 1639, owing to their personal opposition to it. The Sheriffs, who have said they will not enforce the new law, belong to Grays Harbor, Pacific, Mason, Grant, Benton, Franklin, Kittitas, Yakima, Klickitat, Adams, Lincoln, Ferry and Stevens counties. Voters of these Counties have opposed the bill in a majority. In King County, which has three times as many voters as the 13 Counties combined, the bill was passed with 76 percent majority. Sheriff Mitzi Johanknecht assisted writing the argument in favor of it in the state voters’ guide. Last week, she said the initiative “can be refined,” but that it’s up to the courts to determine its constitutionality. Songer and other sheriffs noted that officers use discretion all the time as per enforcement priorities. As per them, every time an officer sees a car over speeding, he uses his discretion in the way of enforcing the law. Mary Fan, a law professor at the University of Washington and a former federal prosecutor, said the gun law is very different as the sheriffs are laying out their motivations so bluntly. It should be reported here that I-1639 was the most ambitious measure that has been passed in the State’s history. 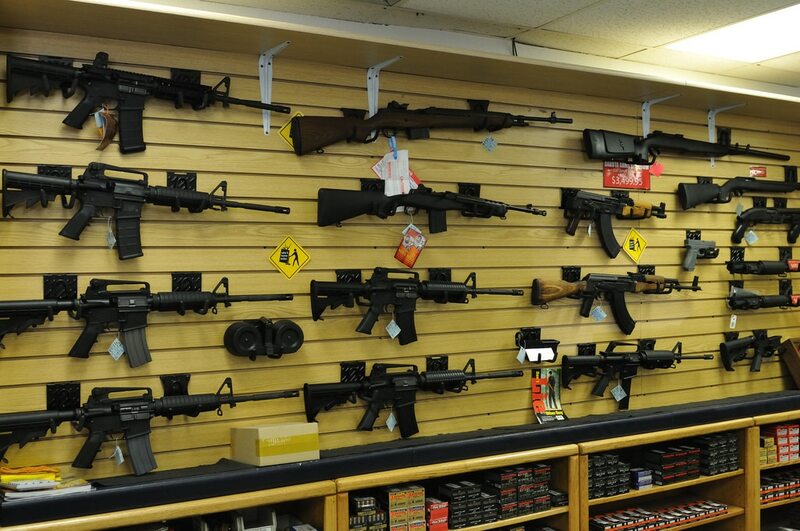 It aims to make it illegal for anyone under 21 to buy a semi-automatic rifle, the same as it is for handguns. It also requires 10-day waiting periods and more thorough background checks for anyone purchasing those rifles. And if a teenager is found using a gun, which is illegal to possess for him, the owner of the weapon will be held responsible. The National Rifle Association and the Bellevue-based Second Amendment Foundation have already filed a case in the Federal Court stating that the new law violates the U.S. and Washington constitutions and should be thrown out. The state Attorney General’s office has requested the court to dismiss the lawsuit as most part of the law has not been implemented yet. As of now, the concerning point is without waiting for the court’s ruling on this issue; Sheriffs have already done the judgment regarding its constitutionality. Adams County Sheriff Dale Wagner wrote that I-1639 appears to be against 2nd Amendment of the Constitution and he denied enforcing it. However, Wagner is yet to make a comment on which part of the law he considers as unconstitutional. Though the higher age limit to purchase a semi-automatic rifle is new; the concept is age-old. Washington has long banned sales of handguns to anyone under 21. There is already a ban of the sale of certain semi-automatic rifles from 1994 until the ban’s expiration in 2004 in the United States, and at least five states and the District of Columbia go on banning such weapons. As per a report by the Boston University School of Public Health, as many as 16 states impose some kind of criminal liability on a firearms owner if a gun is found improperly stored and a child carries or uses it. As of now, the Sheriffs have very little to enforce. As of now, the clause stating the higher age limit for purchases of semi-automatic rifles has gone into effect. The rest of the law would be applicable from July 1. Jaime Smith, a spokeswoman for Gov. Jay Inslee, said this represents maintaining status-quo and it would qualify as enforcing the law.